To Buy or not To Buy at Sotheby's? When Baker died, his former partner and nephew John Sotheby shared his uncomplicated property, and the auctions were held after his name. Since 1778, for 80 years, the company has gained world renown due to the impeccable reputation of transactions in the business world, expanded its premises, moved to New Bond Street and became involved not only in books and manuscripts, but also engravings, medals and coins, paintings, drawings of old masters, sculptures and icons, all valuable, rare, sometimes existing in the world in only one instance, antique and ancient objects of art. During his life, a beggar Van Gogh, in a fit of the most severe depression from total misunderstanding among the “experts” around him from painting, cut off his ear, and now, looking at his “Sunflowers” ​​every time, it is difficult for me to understand how such a sunny and joyful mood that brilliant artist transferred to the canvas, could not see, did not feel and did not recognize .. Picasso, Modigliani and many other artists whose paintings, prints or at least their drawings, many museums of the world would consider it an honor to have today. But often collectors own invaluable pieces of art and are in no hurry to sell them, storing them in their home and insuring millions. To its credit, some of them need to say that sometimes collectors offer museums to arrange exhibitions of those objects of art that they own, and “travel” to such collections around the world, and people have the opportunity to see beautiful canvases. In Dublin, the representative office of Sotheby "s" organized the Days of Russian Artists. 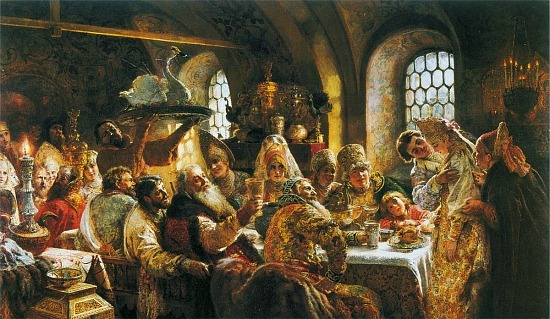 The painting by Russian artist Vladimir Makovsky, "Rest on the Road to Kiev", which was exhibited at this auction, was sold in London for 923,520 euros. In collectibles, as in everything, there are two downsides. On the one hand, humanity should be grateful to these people who invest money, buying not only antique masterpieces, but also works by unknown authors in order to preserve rare works for us in different areas of art, while many art galleries and museums are not always able or they want to acquire works of lesser-known authors or masterpieces, being on state subsidies and based on a sense of conservatism. Beautiful canvases of ancient artists of world renown and Russian icons, starting to work on them, Russian monks fasted and prayed, asking the Almighty to bless the creation of miraculous icons, in order to heal people, all these masterpieces are often deposited in private collections and are rarely exhibited sale, but again, who buys it? 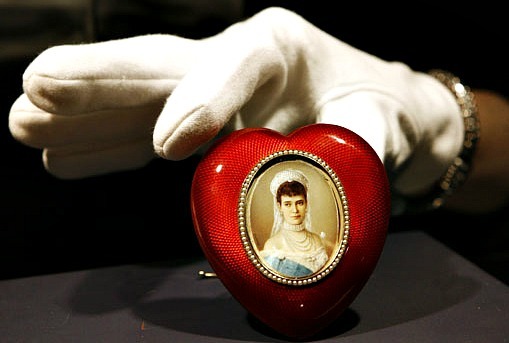 Other collectors, not museums and art galleries, and it may well be that we will never see them, unless we wander into the Internet at Sotheby’s.com. Sotheby’s Auctions - for a narrow circle of people who have a lot of money, invest them in art objects, then to resell and make money on it. 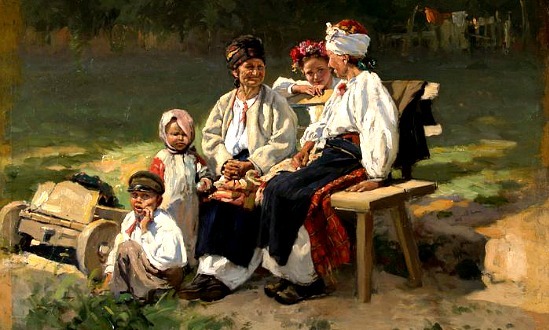 When Vladimir Egorovich Makovsky wrote his “Rest on the Way to Kiev”, could he have foreseen that his masterpiece would be “buried” in a private collection, and how would the artist react to this news ...? After all, often the buyer is a private collector and he wishes to remain anonymous ... Probably, the Russian artist would prefer to see his paintings in a museum or exhibition hall, and he wrote for millions of people, not for units ... After all, this is the artist - to create for everyone, to cultivate in the soul of man his eternal desire for beauty, which, as Dostoevsky said, alone can save the world. I am deeply convinced that “making money” on objects of art that artists and sculptors who lived in ancient and middle ages left a legacy to humanity is simply indecent. This High Art should belong to people, and not to a group of individuals who for various reasons turned out to have a huge amount of money. 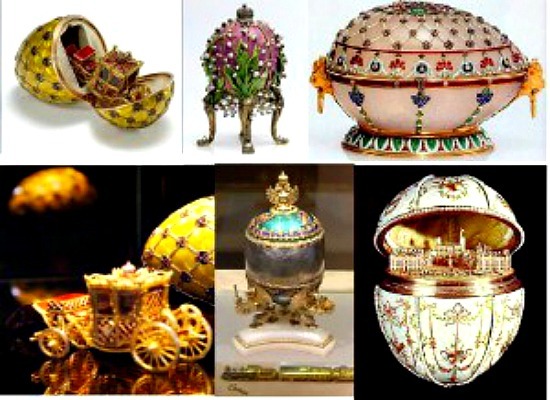 Like, for example, the famous Faberge eggs - six of his entire collection belong today to a Russian businessman. I would really like to see them, hold them in my hands, and examine all the thinnest gold threads that a brilliant French master manually applied ... But alas. 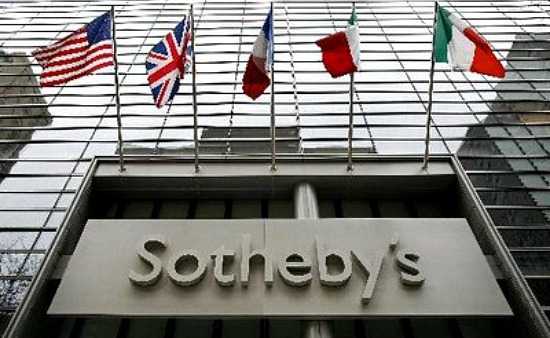 In the Dublin office of Sotheby’s, which is located in the center of the city, Sabina Tringalas, an expert in Russian art, told us that in 2000 Sоthe’s opened its representative office, finally, in Moscow. Interest in Russian art is still very high throughout the world, and there is not enough space on these pages to list all of our artists and icon painters whose works are in great demand. The auction was held in the halls of the Historical Museum, and tickets to it cost a lot of money. But next year, the organizers of the auction changed this rule, and now all Muscovites and guests of the city can simply come and look at the pictures of our excellent masters, which are offered for sale. What personally reconciles me somewhat with Sotheby’s is the fact that the auctions themselves can be viewed as a “window” to the world of the knowledge of the Beautiful in our world in so many of His manifestations. Remarkably illustrated catalogs in all areas of art provide comprehensive information about artists, photographers, numismatists, and those objects of art that are included in private collections. And if one day, by chance, you fall into the hands of an auction catalog - I think, you, like me, will want to turn over its pages and enjoy reprints printed on excellent paper again and again ... Without a lot of money, you do not save on the much-needed catalogs of Sotheby's auctions. , and even just having such a catalog at home is the first step to thinking about purchasing that favorite canvas, whether it be a sculpture or an exquisite miniature that the Great Masters left for our generation, and which have not yet all are kept in private collections of those people who wish to remain unknown, and once purchased masterpieces by them are never promoted.